5-Methyl-7-methoxyisoflavone is a synthetic chemical compound marketed as a bodybuilding supplement. Isoflavones are organic compounds, mostly naturally occurring, related to the isoflavonids . Many act as phytoestrogens in mammals . Soy protein (good soruce of isoflavones) and isoflavone extracts have been researched for possible beneficial effects on bone density and treatment of osteoporosis. Results of these studies [3-6] have shown soy isoflavones to have a favorable effect on bone loss with potential bone protective effects though no studies have actually examined the effect of soy feeding on fracture risk. A study  on 50 obese postmenopausal women who were assigned to isoflavone supplementation for 1 year has also shown significant effect of exercise and isoflavone supplementation on body weight and total fat mass. Some isoflavones e.g. 7-isopropoxyisoflavone (ipriflavone) and 5-methyl-7-methoxy-isoflavone (methoxyisoflavone) have been marketed as “powerful anabolic” substances. The primary foundation of these beliefs have been data described in a U.S. patent in the early 1970’s [8,9]. Feurer et al. [8,9] reported lower cortisol levels, increased protein synthesis, and improved overall recovery from exercise as a result of isoflavone supplementation in animals. Inclendon et al. reported 5-methyl-7-methoxyisoflavone supplementation (800 mg/day for 8-weeks) did not significantly affect changes in body weight, body mass index, bone mineral content, or isokinetic peak force between groups but DEXA (Dual-energy X-ray absorptiometry) determined fat-free mass was increased by 1.3 kg in the methoxyisoflavone group while being unchanged (0.1 kg) in the placebo group . However, findings in recent studies [10,11] using healthy people contrasts marketed claims that this nutrient increases anabolic status or enhances training adaptations in resistance-trained athletes. Kaufman, Peter B., et al. “A comparative survey of leguminous plants as sources of the isoflavones, genistein and daidzein: implications for human nutrition and health.” The Journal of Alternative and Complementary Medicine 3.1 (1997): 7-12. Heber, D (2008). Berdanier, C.D, Dwyer, J.T., Feldman, E.B.. ed. Plant Foods and Phytochemicals in human health.. CRC Press. pp. 176–181. Potter, Susan M., et al. 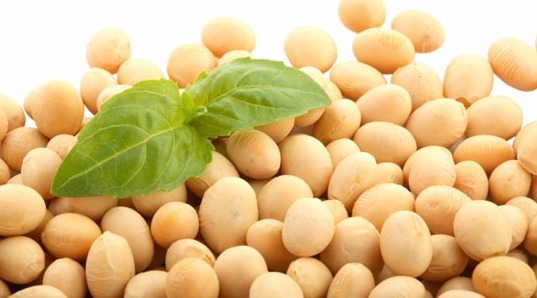 “Soy protein and isoflavones: their effects on blood lipids and bone density in postmenopausal women.” The American journal of clinical nutrition 68.6 (1998): 1375S-1379S. Atkinson, Charlotte, et al. “The effects of phytoestrogen isoflavones on bone density in women: a double-blind, randomized, placebo-controlled trial1-3.” The American Journal of clinical nutrition 79.2 (2004): 326-333. Gennari, Carlo, et al. “Effect of ipriflavone-a synthetic derivative of natural isoflavones-on bone mass loss in the early years after menopause.” Menopause 5.1 (1998): 9-15. Chen, Yu-Ming, et al. “Soy isoflavones have a favorable effect on bone loss in Chinese postmenopausal women with lower bone mass: a double-blind, randomized, controlled trial.” Journal of Clinical Endocrinology & Metabolism 88.10 (2003): 4740-4747. Aubertin-Leheudre, Mylene, et al. “Effect of 6 months of exercise and isoflavone supplementation on clinical cardiovascular risk factors in obese postmenopausal women: a randomized, double-blind study.” Menopause 14.4 (2007): 624-629. Feuer, Laszlo, et al. “Anabolic-weight-gain promoting compositions containing isoflavone derivatives and method using same.” U.S. Patent No. 3,949,085. 6 Apr. 1976. Feuer, Laszlo, et al. “Metabolic 5-methyl-isoflavone-derivatives, process for the preparation thereof and compositions containing the same.” U.S. Patent No. 4,163,746. 7 Aug. 1979. Incledon, Thomas, Darin Van Gammeren, and Jose Antonio. “The effects of 5-methyl-7-methoxyisoflavone on body composition and performance in college-aged men.” Medicine & Science in Sports & Exercise 33.5 (2001): S338. Wilborn, Colin D., et al. “Effects of methoxyisoflavone, ecdysterone, and sulfo-polysaccharide supplementation on training adaptations in resistance-trained males.” Journal of the International Society of Sports Nutrition 3.2 (2006): 19-27.